Impossible as it may be to believe, the biggest event in markets today was not the Bank of England's decision to raise interest rates for the first time since July 2007. 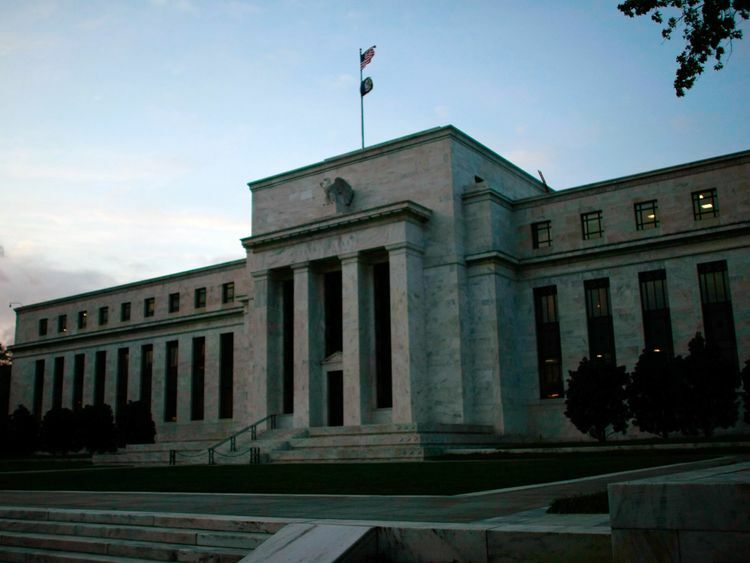 It was, in fact, the appointment of a new chairman of the board of governors of the US Federal Reserve - the world's most important central bank. President Trump confirmed on Thursday evening that he was nominating Jerome 'Jay' Powell as successor to Janet Yellen, who has held the post since early 2014.At a White House news conference, he described Powell as a "consensus builder for sound monetary policy" and said he understands what it takes to make the economy grow.As it happened, while sterling fell sharply against the dollar following the UK's interest rate decision, the markets barely moved when the appointment was confirmed. 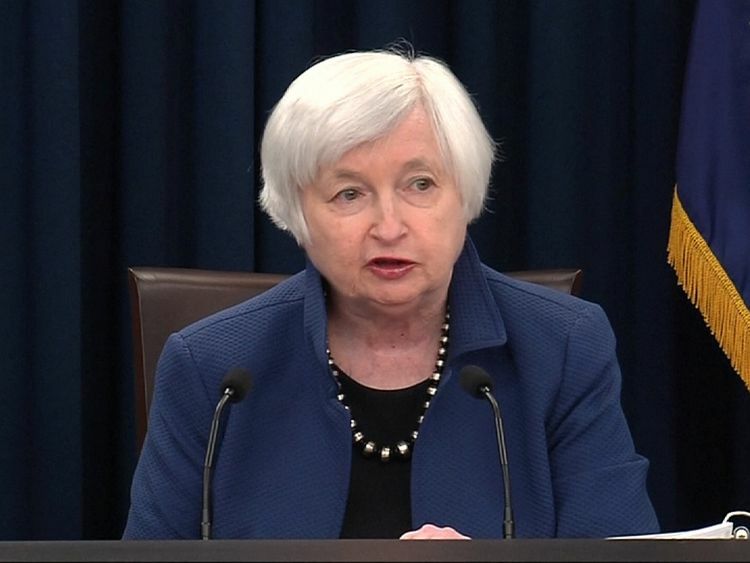 That was probably because Powell's nomination was leaked 24-hours earlier.The move marks a break with recent tradition as Ms Yellen's three immediate predecessors were all reappointed for a second four year term by presidents from the opposite party to the one that put them in office. Ronald Reagan kept faith with Paul Volcker, who had been appointed by Jimmy Carter; Bill Clinton reappointed Alan Greenspan, who had been appointed by Mr Reagan and reappointed by George HW Bush; while Barack Obama reappointed Ben Bernanke, who was appointed by George W Bush.So Ms Yellen, the 15th holder of the post, will be disappointed not to have been nominated for a second four-year term.On Wednesday, Mr Trump described her as "excellent", having indicated during the US presidential election campaign that he intended to replace her.Her performance at the Fed is generally regarded as having been a solid one.While the US economy has ticked over during her tenure, rather than enjoyed explosive growth, unemployment has fallen steadily on her watch.Moreover, she has been able to preside over a return to what might be regarded as "normal" conditions, having raised interest rates four times from the effective rate of zero to which they had fallen under her predecessor, Ben Bernanke, following the global financial crisis.She also brought to an end the Fed's asset purchases - Quantitative Easing in the jargon - put in place to stimulate economic growth after the crisis and, more recently, began to unwind that $4.2tn worth of purchases. There has been no recession during Ms Yellen's term of office, something her three immediate predecessors - Mr Bernanke, Mr Greenspan and Mr Volcker - cannot claim, although the latter two were in office for a considerably longer period.Yet there has been a mood for change, which is why, Ms Yellen is the first Fed chairman not to be reappointed for a second four year term since Jimmy Carter replaced G William Miller - the man blamed for the inflationary upsurge in the late 1970s that eventually helped tip Mr Carter from office - in August 1979.Many leading Republicans, in particular, believe the Fed - via its balance sheet expansion - has strayed into policy-making areas that should, by rights, be left to the politicians.Under Ms Yellen's watch, also, US inflation has remained stubbornly below the 2% rate the Fed is supposed to target.While Mr Powell is clearly a change of personnel, he at least represents continuity, since he has been on the Fed's board of governors for the last five years and his views on policy decisions have been broadly in line with those of Ms Yellen.He represents a less marked break with her era than John Taylor or Kevin Warsh, the two other front-runners to succeed Ms Yellen, and he is expected to continue with her policy prescription of gradually unwinding QE while raising interest rates gently.Mr Powell, 64, comes from more of a business background than either Ms Yellen or Mr Bernanke, both of whom were academic economists.His degree is in law - some may see it as ominous that he is the first Fed chairman since the disastrous Mr Miller not to have an economics degree - and, although he worked in the US Treasury department during George H W Bush's presidency, he was employed at Carlyle Group, the US private equity giant, from 1997 to 2005.That is not to say he lacks expertise in regulatory and related matters. During his time at the US Treasury, he was involved in a number of banking rescues, as well as bringing to book a number of miscreants when Salomon Brothers, a leading Wall Street bank, was accused of rigging auctions for US Treasury bonds.Crucially, while he has supported the policies over which Ms Yellen presided, father-of-three Mr Powell's Republican background may help negate some of the criticism that she regularly received from Capitol Hill.His appointment, then, will represent change - but not too radical change. » Who is Jerome H Powell and why would Trump choose him to replace Janet Yellen at the Federal Reserve?